Installing Ubuntu Linux is most often a piece of cake. Not so it seems on Sony latest laptop, the Vaio VPC-Z11-X9E. It’s a wonderful machine, with many new advanced features, but some of the design options seem to be made with only MS Windows in mind (e.g. advanced EFI Bios is crippled towards the end-user and the switch between the 2 GPU’s is badly designed or documented.) That made it a bit of an adventure to get Ubuntu installed. As I am one of the first ones that succeeded, I share my experiences. However I could never have finished this without inspiration from the brightest people, mainly active in the Sony Vaio Z-series Laptop group. So how did I get Linux running on the Sony Vaio VPCZ11X9E with most basic features working, including nvidia driven graphics at 1600×900? All Linux distributions and versions I tried (Ubuntu, Kubuntu, Debian, Mint, Fedora) have a failing installation in someway on this (very new) laptop. The newer distributions fail on the graphics (blank screen, except Kubuntu 8.10). The older versions fail to enable the WiFi. All need a little help for the touchpad. Some distributions can’t handle the RAID disk (2×64GB SSD). So I deleted the RAID config (in BIOS enable ‘Show Raidinfo’ and use the delete option in the RAID configurator). Eventually I used the Ubuntu 10.04 amd64 Release Candidate DVD in text installation mode. I created a software RAID with LVM on top of it. Once installed, the system failed on the graphics (blank screen, totally frozen, no text terminals). Holding the Shift key during boot gives access to the Grub menu. Replacing kernel parameters ‘quiet splash’ with ’single nomodeset i8042.nopnp’ gives a single user (root) mode that does not suffer from a blank screen (nomodeset) and will be able to use the touchpad (i8042.nopnp) once the graphics are running. At that point it’s clear that Ubuntu 10.04 has working wired and wireless network on this VPCZ11. I tried apt-get upgrade without further success. Installing nvidia driver through Ubuntu sources or from the nVidia website helped neither. nvidia-detector said ‘none’. Starting X on nvidia driver complained about not finding an nvidia device. The Intel driver failed with a blank screen without nomodeset and with a kernel panic with nomodeset enabled. With nvidia-xconfig I created a basic /etc/X11/xorg.conf. When I set in that file ‘Driver’ to ‘vesa’ I get graphics working! But limited to 1024×768, which is probably the limit of the vesa driver. I read Sony is very special in how the LCD screen describes it self (with EDID), which could be the reason of the failing graphics. I did apt-get install read-edid. get-edid|parse-edid gives a monitor section which you can enter in xorg.conf. But this didn’t help me. 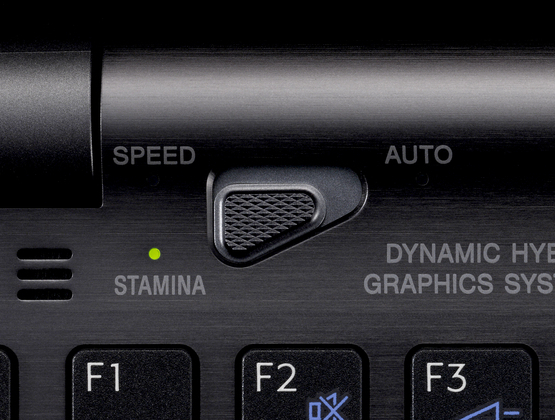 lspci always show both the intel and nvidia graphics, no matter if the hardware button is on Stamina, Speed of Auto. The hardware graphics selection lights almost never follow the button’s settings. The only way to get it really running in a certain graphics mode, is by running first an older kernel into that graphics mode. I did that first by running my Kubuntu 8.10 CD in between. UPDATE 5/5/10: I found that booting the 2.6.31-10-rt kernel (included in the Ubuntu Lucid Lynx repository) will also do the trick on the next reboot. UPDATE 6/5/10: Based on the suggestions of Atrawog hereunder in the comments, it is possible to configure one kernel that does all the basics for nvidia (graphics switch is always ok, 1600×900, network, sound, hibernate). with nvidia driver (speed mode) I get 1600×900 graphics! with the intel driver (stamina mode; which I would prefer) I get kernel panics or blank screens (with or without nomodeset). I’m still searching for a way to change the brightness of the screen. first of all I’d like to thank you for your explanation. I bought your same vaio and I’d like to install linux in. How long does your battery life is in speed mode? I did not really test the battery yet, but a two hour meeting drained less than 50% of the battery. So I hope for more than 4 hours. I could not yet lower the brightness of the screen, and once we can use the Intel graphics we can add another hour, I guess. Sounds good!! 2 hours => 50 % of battery life: it is not a bad result! !don’t you think?? especially because you are using nvidia card… by the way we hope that will be able to user the Intel graphics as soon as possible!!! So you use ubuntu 10.04 with an older kernel (which one?) and Nvidia drivers… right? could you explain in detail how to setup X to works with nvidia or intel driver? I always get a black screen. I created a default xorg.conf with nvidia-xconfig. but each time you want to run Ubuntu you must run with an old kernel an reboot? How do you do that, using a LiveCD or installing an old kernel in Ubuntu 10.04? Indeed for a while I walked around with a Kubuntu 8.10 CD for booting that once every two times. Now I found that the 2.6.31-10-rt kernel included in Ubuntu Lucid Lynx 10.4 is also good for getting the switch working on the next reboot. Reboot into that rt kernel by holding the Shift button while booting and selecting that kernel in Grub. 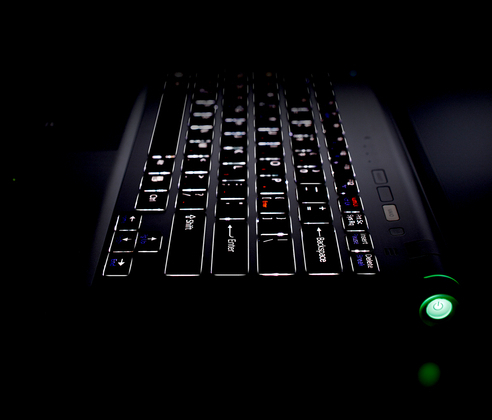 After your next reboot, the graphic switch will light up and work correctly. A question. linux-image-2.6.31-10-rt is working with nvidia drivers installed with apt-get, with nvidia drivers installed from NVIDIA site or with both? Oh well you really, really never should let the Windows group choose your laptop and the couldn’t have come up with a weirder laptop. and use the 2.6.31-21-generic Kernel from Karmic with the NVIDIA Linux-x86_64-195.36.24-pkg2 driver on Ubuntu 10.4. Yes linux-image-2.6.31-10-rt works with the nvidia driver version 195.36.15. Since a few days that is not only the version from the Nvidia site, but also from Ubuntu. But as wifi is not working with such older kernel, I only use it to get the graphics switch correct for the next boot. Atrawog: (how) did you get wifi working on the Karmic kernel? Hi, “linux-image-2.6.31-10-rt (recovery mode)” does the trick successfully! The 2.6.31-21-generic Kernel from Karmic suggested by Atrawog seems to be able to do it all for nvidia (except brightness and maybe suspend). I updated the main article with my installation log. From all the things I have tried out Ubuntu 10.4 64Bit Alternate installer + 2.6.31-21-generic Kernel from Karmic + Nvidia x86_64-195.36.24 driver + Speed Mode is what works best at the moment (including Audio, Wifi + Standby). - Problems with Ethernet auto negotiation resulting in a network speed of only 10Mbit half duplex. I also have one in around 5 boots an unresponsive keyboard (and mouse buttons IIRC). But at that moment (and that moment only!) the sleep/hibernate button (Fn F12) is working. After hibernation the keyboard is working again. Note: in my (KDE) power management module I selected “When sleep button is pressed: suspend to disk” cause suspend to RAM doesn’t work. When the display is dimmed (LED off, after inactivity) the screen stays blank indeed. But I can get it back by selecting a text terminal (Alt-F1) and again the graphical console (Alt-F7). frederik, if this is your opinion too, you might want to include a relevant notice in your original post? Spreading and duplication are some of the key concepts of the internet, with quite some positive effects. But indeed we need to keep the thinking groups large and focused enough. So I’ll try to contribute more actively on the mailing list. Please: others do likewise! of course you are right with what you say. I just wanted to make the point that we have an existing structure for helping people out – with the additional benefit of taking some load from you. The current nvidia driver from their website (195.36.24) does everything to get the screen working. just installing it and my system runs now at 1920×1080 (didn’t have to change anything in xorg.conf). Current NVidia driver (195.36.15) is in the default Unbuntu repository as of today; package nvidia-current. I own a VPC z11 z9E. I am sorry to report that in a Debian distribution (2.6.32-3-amd64) the intel i915 driver freezes the computer at boot, and the nvidia driver fails to load (tried packages from the repositories and even compiling the latest kernel from nvidia). So I’m stuck with the good old vesa driver. You have a slightly different machine and Linux distribution. How does the Nvidia driver fail for you? What do you see in /var/log/Xorg*log? Then Debian 2.6.32-3 and everything works out. touchpad, wifi and ethernet are all ok now. Still haven’t checked if ethernet tranfer speeds cap at 10MB/s or not. I received my VPCZ11V5E (which actually is known also as VPCZ11C5E) and used your instructions above with success! Thank you! - installed the older kernel via apt commands as described above. - rebooted and success! 1920×1080 resolution! So I think you can skip the step of installing the NVIDIA driver from the command line and use the default Ubuntu NVIDIA driver instead. Have not tried Intel Video yet. 3) Ubuntu booted and EVERYTHING works (including 1920×1080@60Hz resolution) except the panel brightness switch. * The system founds and wants to install NVIDIA drivers. * The SPEED LED at the graphics switch is ON. What is the difference between the DESKTOP and the installed system regarding X? then install on the Linux partition. for booting, you must use grub 1 (aka 0.97), grub2 will make udev freeze your screen. Sorry for the spam: on my blog i describe how to make suspend to ram work and how to make things more automatic. I succed to install ubuntu on vaio z helping by this article. I appriciate your help again. Hi, on my blog I just added some info on how to resurrect the keyboard and mouse without rebooting. It is a matter of reloading the psmouse module. Does anybody know what is so special in this kernel? And is there a way to get a newer kernel to behave the same? First, many thanks to Frederik and all the others who are providing valuable information for (future) Vaio Z owners. Does anyone here have the backlit keyboard and can tell me whether it works (i.e. can be turned on and off somehow)? I am about to buy a Vaio Z and would rather not spend extra money on this feature if it cannot be controlled. @Justin: The keyboard backlight just works out of the box. If you do not hit any key for a while the light dims, as soon as you touch a key it lights up again. I do not think this is managed by the operating system. Still need to boot an older kernel first to get NVidia working. Intel Graphics still does not work. I am using my VPC-Z11 as a production machine with Ubuntu 10.04. It works quite well and very stable with kernel 2.6.31-20. Camera, microphone, touchpad work. Connecting a monitor to the extrnal VGA connector works (using NVIDIA-Settings). I have not tested the HDMI output yet. - Sometimes whe I resume from standby, I have to switch to a console terminal ([CTRL][ALT][F1]) and then back to an X terminal before the video works again. - My magic mouse only works properly (with more than two buttons) with a newer kernel, so I can only use it when I boot the 2.6.31-20 kernel first and then a newer kernel (I still wonder what exactly the older kernel does to make it work). I do not have experience with WLAN or RAID. - Battery life (even with only the NVIDIA card working at max brightness); I have a large battery by the way and get about 5 hours of use. - The keyboard is really, really good. The things I would like to see is to be able to run a newer kernel without the internediate boot of the old one and to get the Intel card to work (for even longer battery life). I do not need to switch graphics on the fly, which only would be a nice to have thing for me. I hope this is useful for you. -My grub is confused.. it’s not reading /boot/grub/menu.lst, he is reading somewhere else.. I tried grub-mkconfig -o /boot/grub/grub.cfg but still the same.. any idea? -By the way, I’m changing all the time the options of grub, to change the kernel. BUT I change the kernel and also add i8042.nopnp ( then its like that: quite splash… i8042.nopnp) and then I run… and network doesnt work! I have to enter with “nomodeset” and choose “Drop shell with networking…”, then “startx” to enter on X… I’m doing something wrong? PS: Switching between cards is not working yet no? Anyone using Intel card without flashing? I bought a VPCZ12X5E and tried to setup Lucid Lynx. I had to disable the RAID volume from the BIOS and created a soft RAID using the Alternate CD. 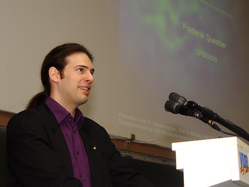 I manually wrote the xorg.conf based on Frederik’s file (just changed the Screen section as I have the Full HD version). Unfortunately, the x server does not recognize the GPU… stuck with the 1024×768 resolution. Since I tried the kernel trick (using the rt one) the system freeze at startup. I cannot get it to work. And flashing my bios does not work (without diving into the hex-editor) because my bios is too new. Then you should be able to reboot in stamina mode with this kernel. With my VPC Z11 the screen stays black for quite some time, but then everything looks normal. I read there were some problems with raid systems, but I am not sure if that is true (I do not have raid). Frederick, thanks for this post! It helps me! Fiepel, your method works! Thanks a lot!!!! Hi Fiepel, I’ve 1600×900 resolution and It’s not working yet, also how many time is “… screen stays black for quite some time…” ? Hi, I have tried to install ubuntu 10.04 on my vaio z12×9E but since the beginning I have a unreadable pink screen with pixels and cannot continue the installation. (It is not the case if I use ubuntu 9.10 even if it gives me a dark screen in live mode) I have found nothing about this color and resolution issue on the internet. Does someone knows something about that? I had the same pink colors early in my installation adventures. The procedure described above in the article will give you normal colors. VPCZ12X5E running opensuse 11.3 with 2.6.34.7-0.2-desktop kernel. Resolution (1920×1080) worked out of the box, for touchpad had to add i8042.nopnp flag to kernel a booot and now it’s working. Graphics – well, i’m running exclusively on intel right now with desktop effects enabled. Nvidia not even recognized by system no matter what stand switch is in it doesn’t matter. Suspend to ram not working. It’s a shame – got myself suppaduppa expensive laptop and half of the futures that compliment my mobility don’t work. Oh yeah, gotta test 3G connectivity still. anybody tried the 10.10 RC version? I was wondering if it solves some of the issues. Download and install the 2.6.36-0 files. I am testing them on my Ubuntu 10.4 first, before I want to upgrade to 10.10. Here http://www.sony.ru/discussions/message/621004#621004 I wrote small howto about brightness (via acpi). I think it should work on any Vaio models. Thanks for all the information here posted, it has been of great help trying to run the VAIO Z under ubuntu. I installed UBUNTO 10.10, out of the box it did not work, the screen went to black regardless of stamina or speed mode. Then I boot the computer in “nomodeset” instead of “quien splash”. In the terminal I did wget to download the kernel vaio-z from http://www.voip-x.co.uk/files/adam (A great and promessing Kernel for this laptop). After following the instruction and download the latest nVidia drivers the computer works perfectly. However if I create the xorg.conf file by sudo nvidia-xconfig command and reboot the display goes blank again. Checked under gfx0\edid and discovered the file said I will try to write the EDID by myself and report on how it work. I kept having difficulty in getting the drivers from nVidia to work on my Z, so I just ended up using the ones that were installed (260.19.06). I found that using the gui nVidia config tool I got an error when I clicked the button “Save to X Configuration File.” I got around this by, clicking the Save to X button, then clicking the “Show Preview” button, then copying and pasting that code into an empty xorg.conf.